Okay, so Wisconsin isn't Michigan. But if you ask any coastie, they'll tell you they're basically the same state. 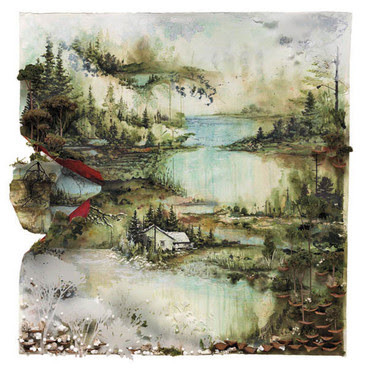 And if that is true, it is our duty as Ann Arborites to support the awesome Bon Iver. Justin Vernon still makes his home (Still! Even though he's superdupercoolandfamous!) in Eau Claire, Wisconsin. You have to love that kind of Midwesterner. The band's second record is streaming right now on NPR's First Listen, and I highly recommend checking it out. Risky, gorgeous music. Record drops on June 21.